After his retirement from professional football at Kriens, René van Eck returned to his former Swiss club Luzern. He became the assistant-coach of the club. 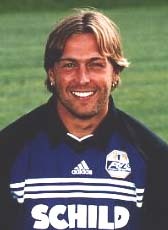 However, after the resignation of Urs Schönenberger in November 2003, Van Eck took over the job of head-coach. Van Eck helped the club in the season 2005-06 for promotion to the Swiss premier league. However, he decided not to extend his contract due to a difficult relationship with the chairman and left the club after a successful period. Four months after his departure from Switzerland, Van Eck went coaching FC Inter Turku from Finland. In November 2006 Van Eck returned to Switzerland as head coach trying to prevent Challenge League club FC Wöhlen from relegation. That happened and he moved to Super League club FC Thun in May 2007 to sign a 2-year contract as head coach. However the season 2007-08 was not successful. Thun relegated and Van Eck was sacked. In September 2008 he started his new job as coach at German club FC Carl Zeiss Jena. After two seasons he cancelled his contract and quit the club. In 2012 he was appointed as the new head coach of German outfit Alemannia Aachen.